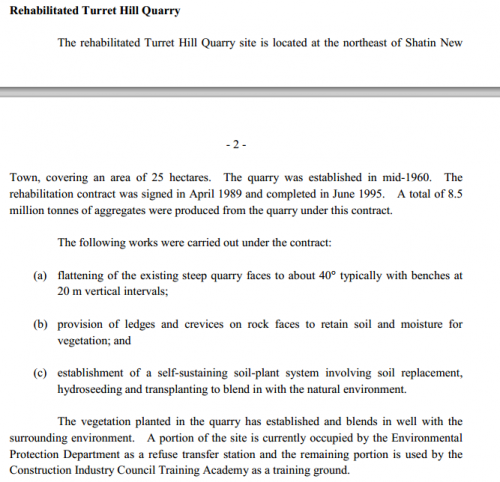 According to the linked 1987 report below Nui Po Shan (Turret Hill) Quarry was originally used as a borrow area in the mid 1960s [another source suggests the quarry began in “mid-1960”] and 70s. 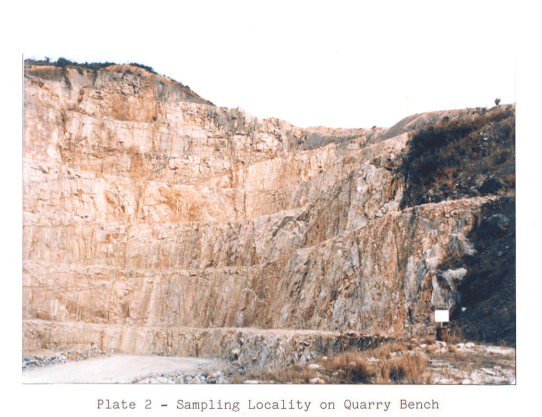 A borrow pit is a term used to describe an area where material has been dug for use at another location in construction and civil engineering works. 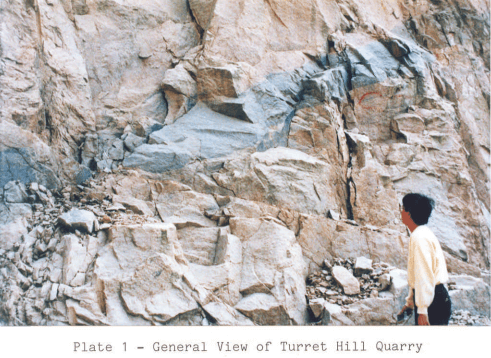 It was turned into a granite aggregate quarry in the late 1970s. Rock extraction stopped at the end of 1984. 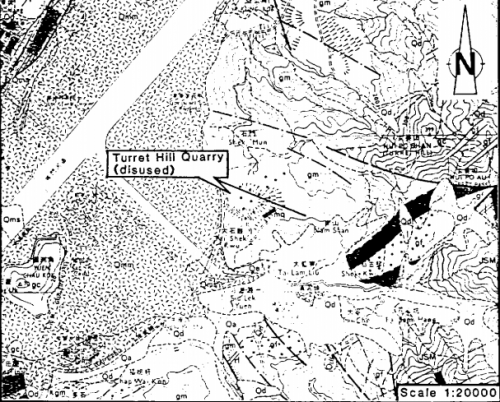 Here’s a map from the 1987 Report. 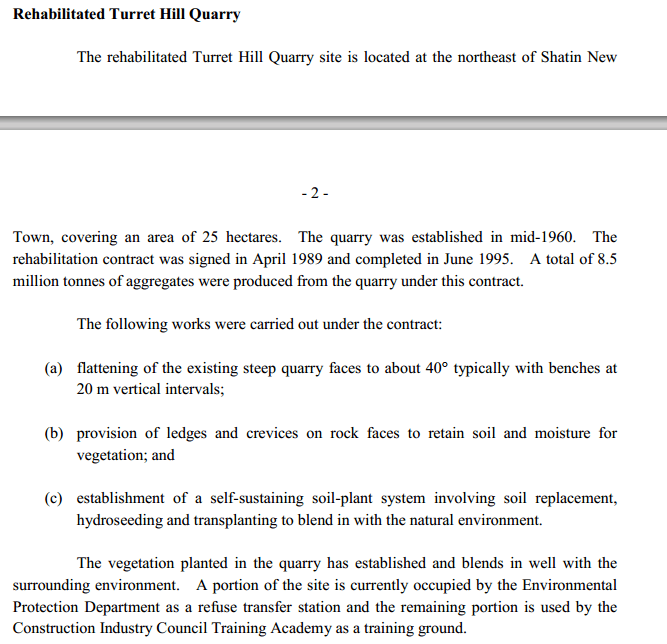 Here is what happened to the quarry in the early 1990s from the 2011 link below. And establishing its location by mentioning two current uses of the site incuding CICTA “Shatin Training Ground” shown on Thomas’ map. 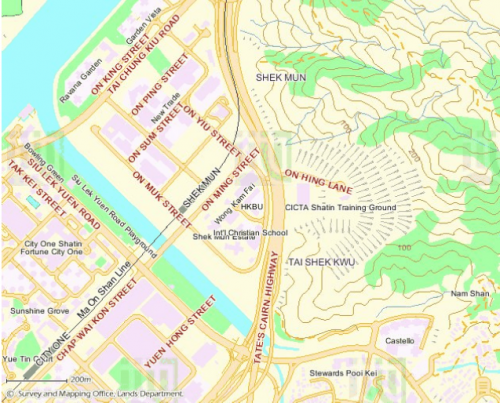 This article was first posted on 20th June 2014.